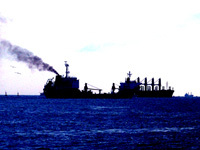 A new study to assess the benefits, costs and feasibility of implementing an emission control area (ECA) to limit sulphur oxides (SOx) from ships in the Mediterranean Sea will consider, among other things, the potential health benefits for people living around the Mediterranean as well as cost implications for ship owners. The IMO Regional Marine Pollution Emergency Response Centre for the Mediterranean Sea, REMPEC, is coordinating the technical and feasibility study to examine the possibility of designating the Mediterranean Sea, or parts of it, as a SOx-ECA under IMO’s prevention of pollution convention (MARPOL) Annex VI. There are currently four designated SOx-ECAs worldwide: the Baltic Sea area; the North Sea area; the North American area (covering designated coastal areas off the United States and Canada); and the United States Caribbean Sea area (around Puerto Rico and the United States Virgin Islands). In the ECASs, the limit for sulphur in fuel oil used on board ships is 0.10% mass by mass (m/m), while outside these areas the limit is currently 3.5% m/m, falling to 0.50% m/m from 1 January 2020. An international consortium led by Energy & Environmental Research Associates (EERA) signed (in June) the contract with REMPEC to carry out the study, to be finalized by spring 2019. Funding for the study, which REMPEC will present to IMO’s Marine Environment Protection committee (MEPC), comes from the Mediterranean Trust Fund, the IMO’s Integrated Technical Cooperation Programme and a voluntary contribution from the Government of Italy. REMPEC is administered by IMO in cooperation with UN Environment (UNEP). 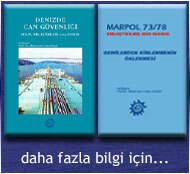 Its main objectives are to contribute to preventing and reducing pollution from ships, to combat pollution in case of emergency and to assist Contracting Parties to the Barcelona Convention for the Protection of the Marine Environment and the Coastal Region of Mediterranean to meet their obligations under the Convention and its protocols. The Barcelona Convention Contracting Parties are: Albania, Algeria, Bosnia and Herzegovina, Croatia, Cyprus, Egypt, France, Greece, Israel, Italy, Lebanon, Libya, Malta, Monaco, Montenegro, Morocco, Slovenia, Spain, Syrian Arab Republic, Tunisia, Turkey, and the European Union.